As with most coffee table-type books, The Gardens of Venice and the Veneto is full of large, gorgeous photographs of the book’s subject. But this book offers so much more within its 200+ pages. 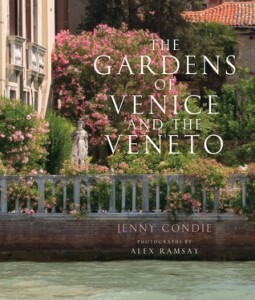 Inside you will find the history, culture, architecture, horticulture, and atmosphere of La Serenissima; Jenny Condie and Alex Ramsay’s love for the city shines through on each and every page. Condie’s writing style is smart and clean; Ramsay’s eye is superb. The gardens themselves? Amazing. Old, new, large, small, public, private, well-known, hidden . . . so, so much to enjoy. I can’t recommend this highly enough for anyone who loves Italy, Venice, gardens, or photography. ** NOTE: I received a review copy of this book from NetGalley; the opinions expressed are my own. The links in the post above are affiliate links, which means if you click on the link and purchase the item, I will receive an affiliate commission. With five espresso cups recommendation from you I would love to read this book Michelle.